It’s been a little while since I did a day in the life post, and a lot has happened since then. The biggest change is that I started law school! I’m in my third week now, and I’m starting to settle into a routine. 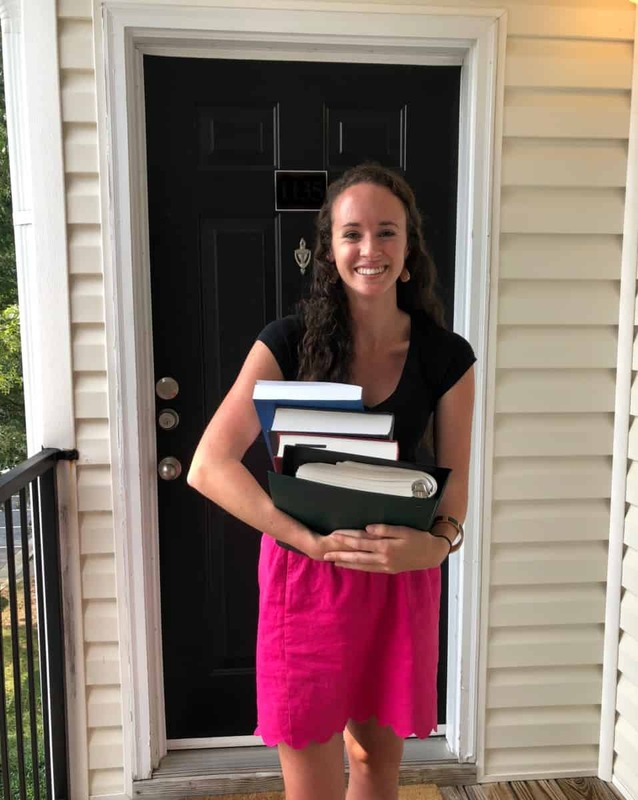 So, I wanted to share what the average day as a new law student looks like, not just with food, but also with a focus on some of my favorite beauty products. Without further ado, here’s a day in the life, beauty edition! My alarm sounded at 6 am, which is typical these days. I either run outdoors or head to the gym for strength training. On this day, I went to the small apartment gym to do a HIIT workout (BBG arms), which was a killer workout and only took about 30 minutes. I got back and showered off. My post-shower routine always includes lotion, and I Iove this Burt’s Bees Cocoa and Cupuacu Butters Body Lotion that’s naturally scented. I got dressed and did my normal quick makeup routine. I’m pretty low maintenance when it comes to beauty products and don’t use a TON of different products. I usually just do a bit of concealer, foundation, a touch of bronzer, and mascara. I really like Burt’s Bees mascara for both the 100% natural ingredients and how it looks. My current breakfast on rotation is two scrambled eggs with salsa and avocado and a small piece of baked oatmeal. While I’m making breakfast, I always pack my lunch and snacks for the day too, too. On Sunday night, I spent about 45 minutes (mostly hands-off time) making food for easy school lunches throughout the week. 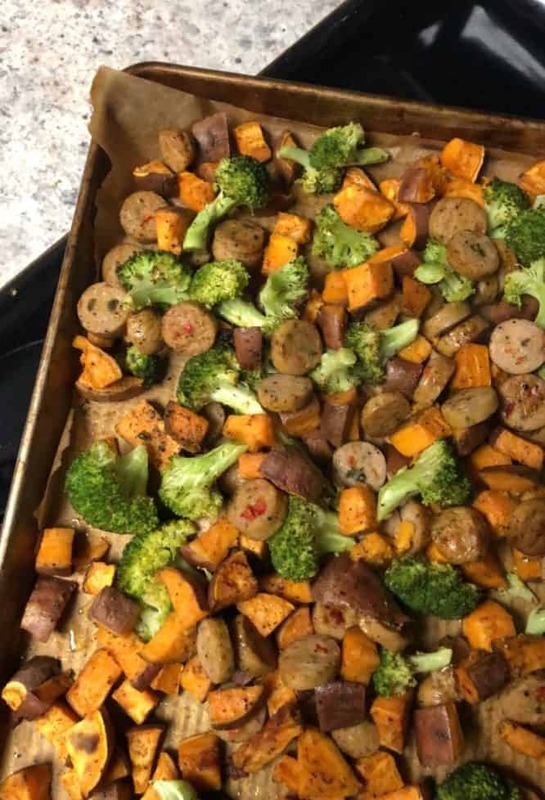 I roasted jalapeño chicken sausage with sweet potato wedges and broccoli. It was totally unplanned and based on what I had in the fridge, and it ended up being delicious! I grabbed my books, notebook, and laptop and left for school by around 8:30. I arrived at class by about 8:45 after stopping by my locker. Tuesdays and Thursdays are my light day of classes, so I only had two: criminal law and torts, both of which I enjoy and find really interesting. Lunchtime is usually a free hour, but on this day we had a mandatory workshop during lunch. Afterward, I spent the afternoon reading with some classmates to prepare for our five classes the next day. I also took a break mid-afternoon to meet with my student mentor, who’s a year older. Then, I had a training from 5-7 PM to be able to participate as a student “attorney” in teen court for this semester. I packed lots of snacks to make it through the long day, including apple slices, popcorn, and a homemade energy bite, plus half of a kombucha. I finally left school around 7 PM and called one of my good friends from college on the way home. I was super excited to get home and dig into dinner by 7:30. 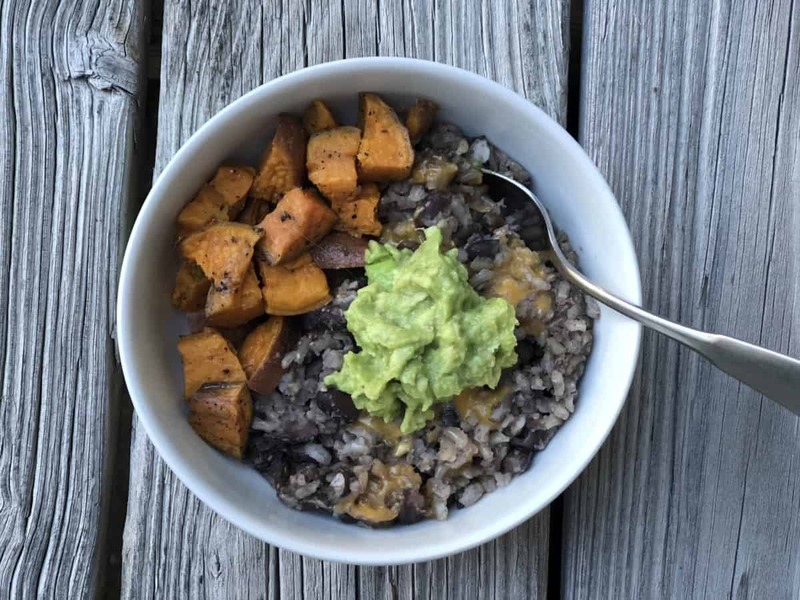 I had leftover roasted sweet potato wedges with black beans & rice, topped with cheese and guacamole. My goal is always to finish my work before dinnertime because I have so much more energy in the mornings and afternoons than I do at night, so I’m more efficient, but it often doesn’t happen this year. I still had a couple more readings to do on this night. I had a really good coconut milk ice cream sandwich while I read. I couldn’t quite finish everything before my eyes started to close, so I set my alarm for a little earlier for the next morning and planned to finish up then. One of my favorite tricks for surviving the warm season in the South without showering multiple times every day is using a cleansing towelette for a quick pesudo-bath before bed. I especially love these when it’s late at night, and I don’t want to take a second shower for the day. I don’t sweat a lot during the day necessarily, but I enjoy feeling really clean when I hop in bed (anyone else?). 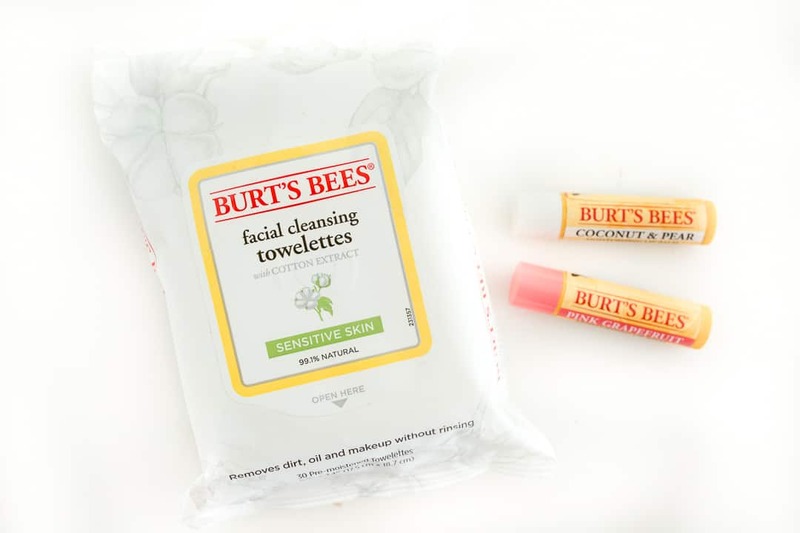 I love these Burt’s Bees Facial Cleansing Towelettes in their great little resealable pouch. I keep a Burt’s Bees Lip Balm on my nightstand and always swipe on a layer of lip balm before I go to bed. I have at least four of these lip balms around (in my nightstand, backpack, wallet, etc. and use them all daily. They’re all-natural, and the pink grapefruit is one of my favorites. I fell into bed around 10:45 PM, totally wiped. Some days are long, but I’m so excited to be here and I feel like I’m in the right place. So tell me…what’s life like for you lately? 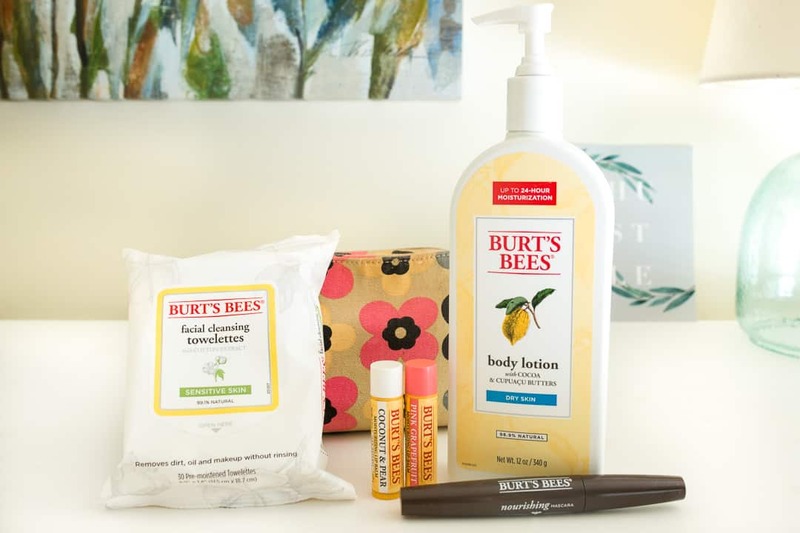 What are your favorite Burt’s Bees products? So good to hear that you are feeling like you are in the right place 🙂 I keep Burt’s Bees on my lips 24/7, too! Thanks so much, Riley! You’re the most supportive friend and so wonderful at being happy for other people! With our hot summers, Burt’s Bees Lip Balm certainly helps to avoid dry and cracked lips. Also, I like the cleansing sheets to help remove makeup. I like the lip balm to keep from getting dry lips. I love burts bees! Their tea tree oil is amazing and so are their lip balms! Burt’s Bees is my favorite!!! Girl. WOW. You do a lot in a day, and it’s a long day! I love the Burt’s Bees lip balm. I have to have one of those lip balms with me at all times! I adore Burt’s Bees Lip Balm. It’s my go to every summer both to keep my lips hydrated and from getting burned (I’m a lifeguard). Pink Grapefruit is my go to flavor. Thanks for the sharing useful knowledge about this topic. !Since finding your site, I have been attempting to lessen the utilization of synthetic concoctions in my home by making my own particular items and now endeavoring to discover better beauty products. The brands to keep away from was sincerely sort of stunning the same number of those i.e. Burt’s Bees and yes to are showcased as common magnificence items. I utilize Burt’s Bees Vitamin E and Lemon Oil like it’s leaving style! It would appear that I’ll have to locate an option. My little girl is going into sixth grade and beginning to wear a touch of cosmetics, luckily she loves the characteristic look, yet I need her to utilize items that won’t negatively affect her wellbeing and the earth. Much thanks to you such a great amount for your stunning site. You are truly changing my life, one tad at any given moment! Thank you so much, Mrs. Walsh!! I really enjoyed having dinner with you and Dean Walsh over Family Weekend! I love Burt’s Bees Products. I use their lip balms daily. Great Picks. Thanks For sharing. Your meals look fantastic as well as healthy. You gave me some ideas on how to eat a little healthier.